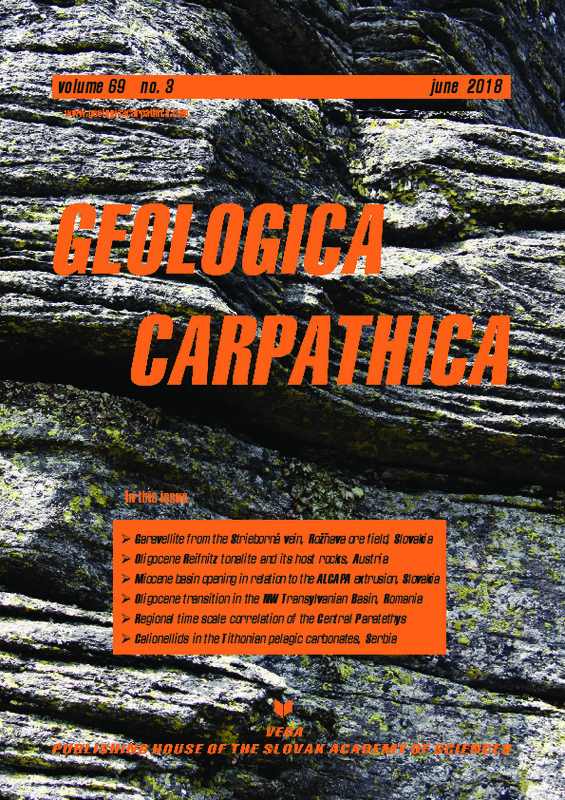 Abstract: Sediments belonging to the Oligocene Vima Formation (located in the north-western part of the Transylvanian Basin, Romania) have been investigated for calcareous nannofossils content. Biostratigraphically, the sedimentary succession is late Rupelian–Chattian in age, belonging to the NP24 — Sphenolithus distentus and NP25 — Sphenolithus ciperoensis biozones, to CP19a — Cyclicargolithus floridanus and CP19b — Reticulofenestra bisecta Subzones and to the interval from CNO4 — Sphenolithus distentus / Sphenolithus predistentus CRZ to CNO5 — Sphenolithus ciperoensis TZ. The palaeoenvironment of the Fântânele section was reconstructed by means of calcareous nannofossils and statistics. Multivariate statistics were applied to the composition of autochthonous assemblages and the obtained clusters were used to assess the palaeoecological preferences of the nannofossils. We document changes from more stable open-marine regime, with temperate sea-surface temperatures interfering locally with influx of cooler water and enriched cool-nutrient supply for the late Rupelian–earliest Chattian (NP24), to shallower and possibly warmer near-shore marine eutrophic environment, with salinity fluctuations, increased terrigenous material run-off and freshwater influx for the remaining early Chattian (NP25).